India asked the United States on Thursday to take a “non-discriminatory and predictable approach” to the H-1B visa regime, given its high impact on innovation, competitiveness and people-to-people partnership. 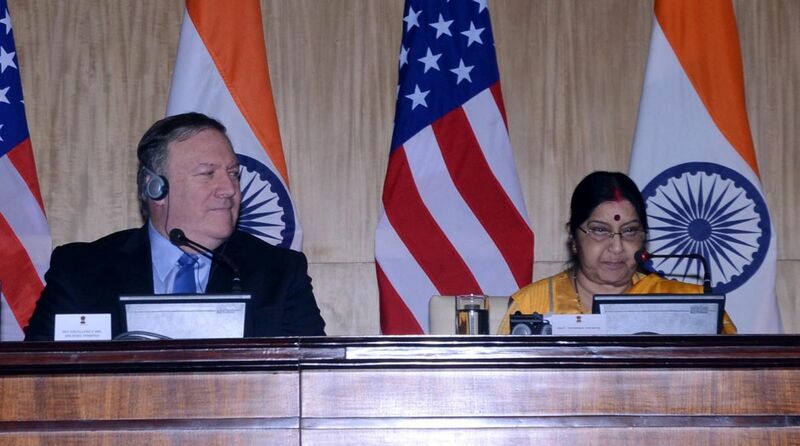 In her statement to the media after the 2+2 dialogue between India and the US in New Delhi, External Affairs Minister Sushma Swaraj said she had raised the H-1B issue with her American counterpart Mike Pompeo. ‘’I sought Secretary Pompeo’s support to nurture our people to people links, specifically the H-1B visa regime issue,’’ she said. In their joint statement issued at the end of the dialogue, the two countries recognised the importance and the potential for increasing bilateral trade, investment, innovation and job creation in both countries. They also committed themselves to further expanding and balancing the trade and economic partnership by improving trade, improving market access and addressing issues of interest to both sides.